Taco Snack Mix - so addictive!! Bugles, pretzels, cheez-its, peanuts tossed in taco seasoning and oil. Great for snacking on during parties and tailgates!! Everyone RAVES about this yummy snack mix recipe! This is a variation on a recipe I posted earlier this year, Buffalo Ranch Snack Mix. It was a HUGE hit! Everyone goes nuts over it. I did a cooking demonstration at AllSouth Appliances one night. I was doing a Mexican food themed presentation and needed a quick and easy snack. I adapted the Buffalo Ranch Snack Mix and it was a total hit! People couldn't stop eating it. I took this down to one of the last home games at Auburn and everyone loved it. This makes a ton, so it is great for a crowd. This recipe uses one bag of regular Bugles and one bag of cheese Bugles. If you can't find the cheese Bugles, you can just use two bags of regular Bugles. 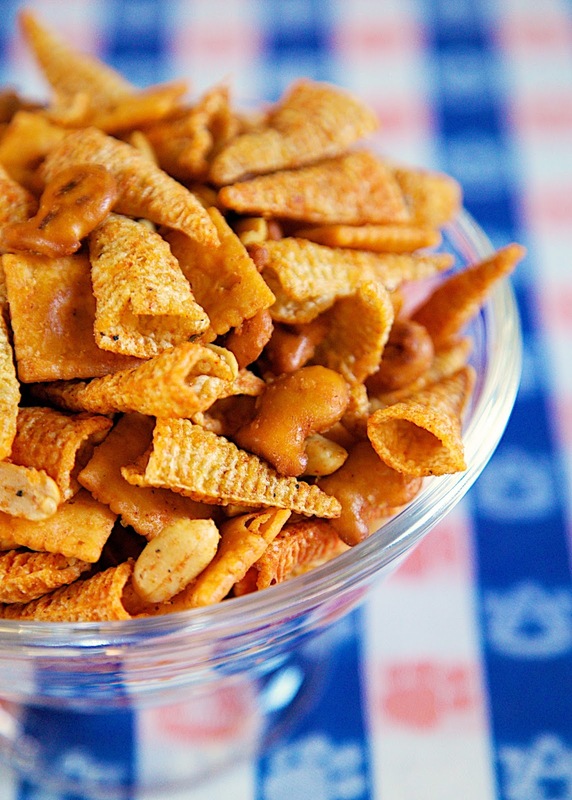 In the largest bowl you have (or two large bowls), combine bugles, pretzels, Cheez-It crackers and peanuts. Whisk together taco seasoning and canola oil. Pour oil mixture over bugle mix and toss thoroughly to combine. Anything with bugles in it is fine by me! Amen! It was a miracle that any made it into the mix. I had a hard time resisting the urge to put them on my fingers and eat them one by one. 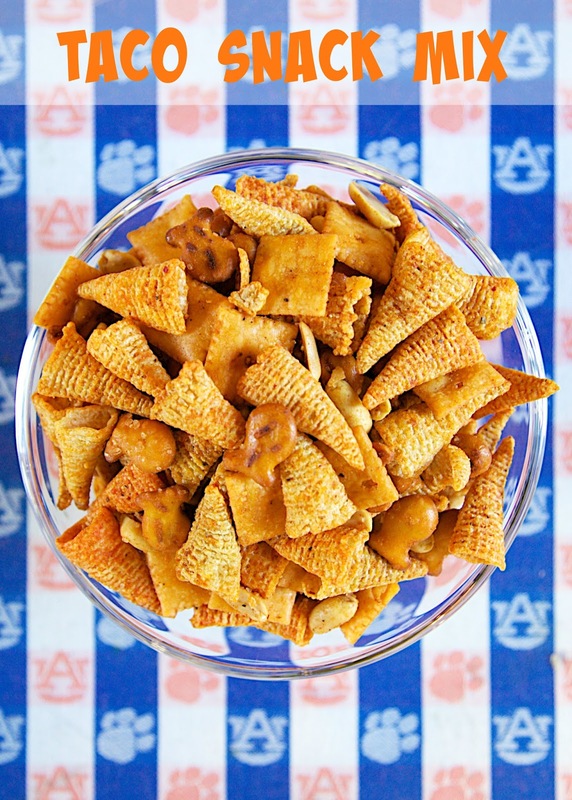 My kiddos would devour this snack mix in a hurry! Love it!